LA MIRADA >> A tight-lipped serial bank robber known to the FBI as the “Mum’s the Word Bandit” tried, but failed, to carry out his latest heist in La Mirada on Friday afternoon, authorities said. The suspect received his moniker for his tendency to pass tellers a note demanding cash without speaking, FBI spokeswoman Laura Eimiller said. No weapons have been seen. He showed up about 1:30 p.m. at the Bank of the West, 12709 Valley View Ave., Los Angeles County sheriff’s Sgt. Manuel Flores said. He passed a teller a note demanding money, he said. When the teller failed to comply, he left empty handed. 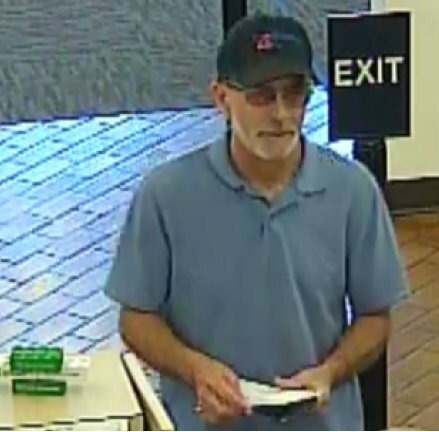 The bandit was already being sought in connection with a May 18 robbery at another Bank of the West Branch, 4501 E. La Palma Ave. in Anaheim, Eimiller said. Officials described him as a white man of about 60 years old, with a white beard. 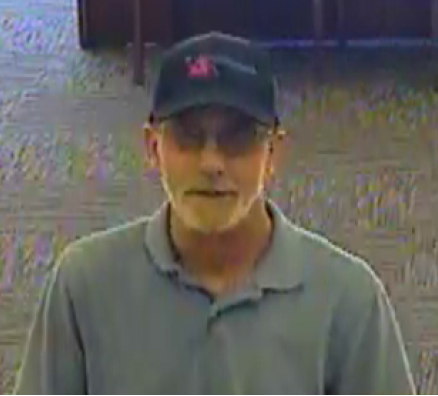 During Friday’s robbery, he wore a blue, short-sleeve, collared shirt, a blue baseball cap and tinted glasses. He fled the area in a white Toyota Echo, last seen heading south on Valley View Avenue, Flores said. Anyone with information can reach the sheriff’s Norwalk Station at 562-863-8711, or the FBI’s 24-hour Los Angeles-area tip line at 888-226-8443. DIAMOND BAR >> A judge sentenced a man to life in prison for the fatal shooting of an Anaheim man during a botched robbery in Diamond Bar more than 22 years ago. A jury convicted Lino Acero, 39, in March of first-degree murder for the Nov. 18, 1994 slaying 42-year-old Mahfouz Ghabour of Anaheim. The jury also found true the special allegations that Acero personally used a handgun in the crime. At his sentencing in the Pomona branch of Los Angeles Superior Court, he received a sentence of life in prison without the possibility of parole, according to Los Angeles County District Attorney’s Office spokeswoman Sarah Ardalani. Ghabour was working at an ARCO gas station on Diamond Bar Boulevard when Acero and a still-unidentified accomplice entered. “During the failed robbery, one of the suspects fatally shot Ghabour,” Ardalani said in a written statement. The two killers then fled empty handed. Jurors were shown surveillance video of the killing during the trial. The two killers fled the scene. The case would remain unsolved for more than 20 years. Despite an exhaustive homicide investigation, the case went cold, officials said. Ten years later, Los Angeles County sheriff’s detectives who were continuing the investigation had the surveillance video of the shooting featured on television. “The video’s appearance on TV led to a tip on the shooter, however detectives needed to continue to investigate the case,” Ardalani said. Authorities arrested and charged Acero in connection with the killing in June of 2014. Charlie Santisteban, killed early this morning outside his home in Pomona may have been targeted by a killer preying on Gas Company employees, authorities said Wednesday. A Gas Co employee was shot Tuesday night in a parking lot in Anaheim. Pomona PD and Anaheim PD are seeking disgruntled ex-coworkers. We’ll have more when known….